●0V activation function can rescue your over-discharged batteries. 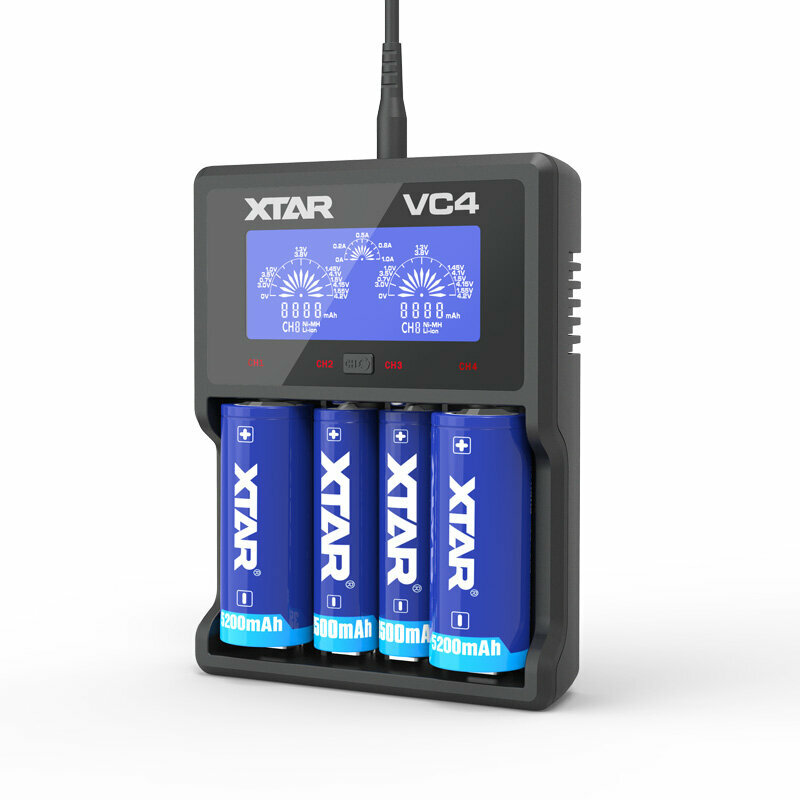 Normally you need to throw away those over-discharged batteries, but with XTAR charger you can rescue them and reuse them. ●The backlight will be low light mode if without any operation (inserting battery or pressing button) within 2min. And it will be off when pressing the button for 1.5s and be on when pressing it again. ●Smartly notify you – the screen will alternately show "FULL" and charging capacity and LED indicator will change from red to green when your batteries are full.